The arrival of springtime in US is celebrated with three week long National Cherry Blossom festival with hues of white and pink all around. It is the perfect time to visit US with the atmosphere of celebrations and joy all around. It is festival time celebrated with great music and variety of food options. It is a photographer’s paradise that is a treat to the eyes. All around it is beautiful cherry blossom trees with pink and white hues welcoming spring with its open arms. Cherry Blossom time is simply amazing as it offers spectacular view that is simply mesmerizing. Various events are held during this time that celebrate the close bond of American and Japanese culture that dates back in 1912 when Tokyo’s Mayor Yukio Ozaki gifted Tree to American counterpart. It is magical moment when cherry blossom trees surrounding Tidal Basin have opened their buds and it is covered with colors of white and pink all around. It is NPS i.e. National Park Service that is responsible for the growth of Cherry Blossom buds and is one responsible for prediction of the time of peak bloom. To keep a tab on the prediction of the full bloom it is advisable to keep track of National Park Service website which is usually celebrated either in late March or early April. It is worth to keep a tab on the peak bloom timings as it will help you to plan your trip accordingly. It is better to go early and enjoy the perfect picturesque view. It is the best time in US that is full of bloom and festivities all around. It is very pretty around tidal basin as it shows the reflection of blooming cherry blossom trees. It is breathtaking view that celebrates blossom with three week long cultural festivals held all over the city. There are two major types of cherry blossom trees which have different times to bloom. One is Yoshino variety that is majorly around tidal basin. Another variety is The Kwanzan, which usually blooms two weeks after the Yoshino trees that give a second chance to visitors to enjoy the experience of full bloom. And also it gives a second chance to travelers to plan their trip accordingly as the first bloom along the Tidal basin is the indication that almost after two weeks there is possibility second Kwanzan bloom . 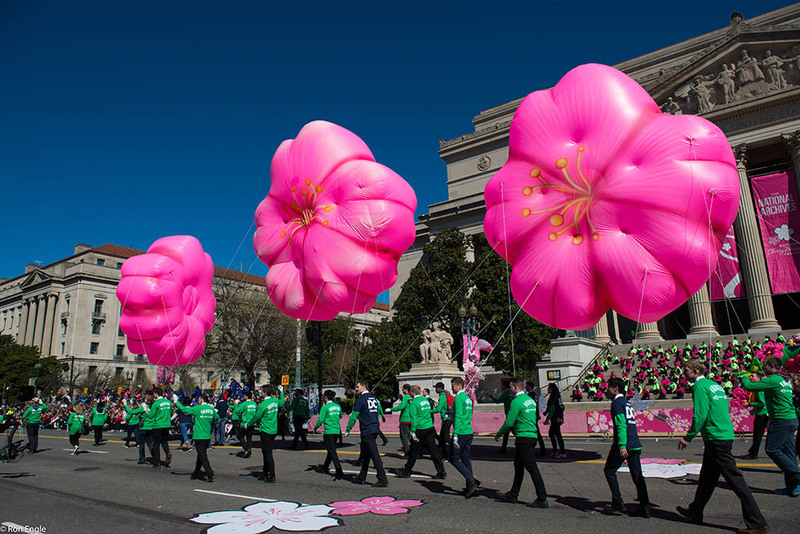 National cherry blossom festival is the celebration time for person of all ages as it offers various cultural festivals for the interest of all from kids to senior citizen. There is never a single dull moment during this cherry blossom festival which is great time to celebrate beautiful time with the company of our loved ones and enjoy the arrival of spring in the States. People eagerly await all along the year to welcome beautiful spring time that has beautiful weather to offer and cherry blossom festival is the one who welcomes spring in The United States.